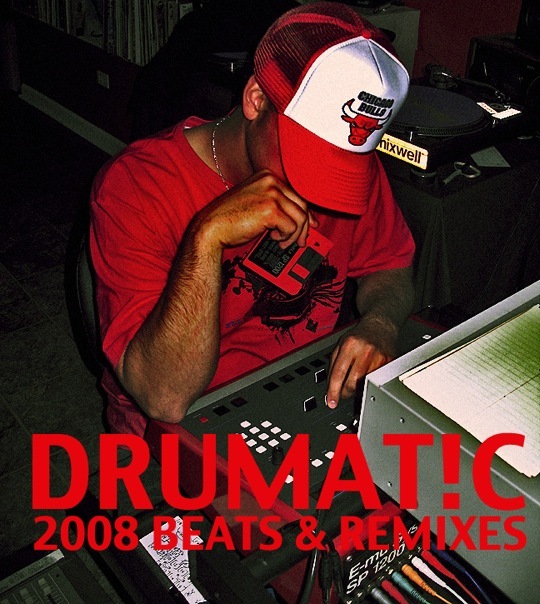 Fans of vintage samplers will want to take the time and give a listen to Drumat!c’s "2008 Beats & Remixes" sampler. A collection of original instrumentals, remixes, and bonuses created during 2008, each of Drumat!c’s 36 tracks were produced using using an E-MU SP1200 and Akai S950 for a distinct, classic sound. Plenty of filtered basslines and clean cuts together with a healthy assortment of reflipped samples make this a collection worthy of attention. Visit Drumat!c on MySpace or contact him directly for custom production work. Just bumping this now, this is dope!! Love the SP grimeyness! nice chill beats. i dig!